My legs sink when breathing for freestyle. I have been learning to swim for about 2 weeks now. I am in the pool around 2 times a week. I believe my kick is weak but I am working on that. When I swim freestyle I travel as long as I don't breathe - the moment I come out for air I go under. I have tried different techniques but its like my legs panic when I come out for air and I start doggy paddling. Would using a snorkel help me? I feel that if I just mastered my kicks and arms then the breathing would follow but trying to do all at once is killing me. Thanks. Thanks for getting in touch. It sounds like you’ve worked hard on your swimming to get to where you are in just 2 weeks. Freestyle breathing technique can be frustrating sometimes, and sinking legs can be a very common occurrence when you're first learning. Head position is vital when attempting to breathe and it is essential to roll the head to the side before inhaling. I’m sure you have been taught this already and I’ve no doubt you are attempting it. Let’s be very specific here when we talk about rolling the head to the side. Roll the head as if you are attempting to look at your shoulder. One ear should be facing the sky, the other ear should still be submerged, facing the pool floor and part of the side of your face should still be in the water. You should roll enough that your mouth just clears the water enough to open and inhale. Exhalation should have already taken place under the water during the arm and leg stroke cycles. the head to the side and lifting and looking to the side. Rolling the head to the side correctly will help maintain a flat horizontal body position with legs kicking near the water surface. Another point to consider is how long you swim before you attempt to breathe. When you are learning how to swim it is very easy to get caught up in how far you swim and what distance you cover. As a result you end up swimming as far as you can in one breath, almost to the point of exhaustion. Once you have exhaled all your air and are almost gasping for breath, the action of taking a breath becomes rushed and panicked, which only compromises the rest of the swimming stroke. Breathe at a comfortable point before you really need to, so for example take a breath every four arm pulls. The set pattern will help to maintain a steady overall rhythm. Freestyle is a continuous swimming stroke so ensure that when you take a breath, your arms and legs continue to pull and kick and do not stop. This is a very common mistake and can happen without you realising it. A complete set of simple exercises for learning freestyle can be found in my eBook 'How To Swim Front Crawl'. Download it here. Using a snorkel will not help you at all. In fact it will prevent you from learning correct freestyle breathing technique. Fins however will help. Get yourself a comfortable pair of training fins and try them out. Having some added assistance to your feet will help your leg kick technique and also help your legs to remain near the surface when you take a breath. But, please do not become reliant on them. Use them to assist you and help you get used to the breathing technique and ensure you swim without them too. After all you are learning to swim without aids or assistance! Clearly presented simple theory and fully illustrated to show exactly what each part of your body should be doing. Front Crawl made easy. Join in and write your own page! It's easy to do. How? Simply click here to return to Freestyle Questions. I am learning how to swim. Please give me some tips on how to float when swimming freestyle and how to kick my legs in water. Floating whilst swimming freestyle comes with having a relaxed and smooth swimming technique. Your ability to float is a characteristic of your body and is dictated by your body composition. Some people float and some do not. That is not to say you will never float. If your body is efficient through the water, then floating is easy. The power and drive for freestyle comes from the arms and the legs kick to balance the stroke. They provide a small amount of propulsion and more information on how the legs kick in freestyle can be found by clicking here. Learn to relax as you swim and remember to feel your way through the water and not fight your way. A relaxed smooth stroke is always more efficient. 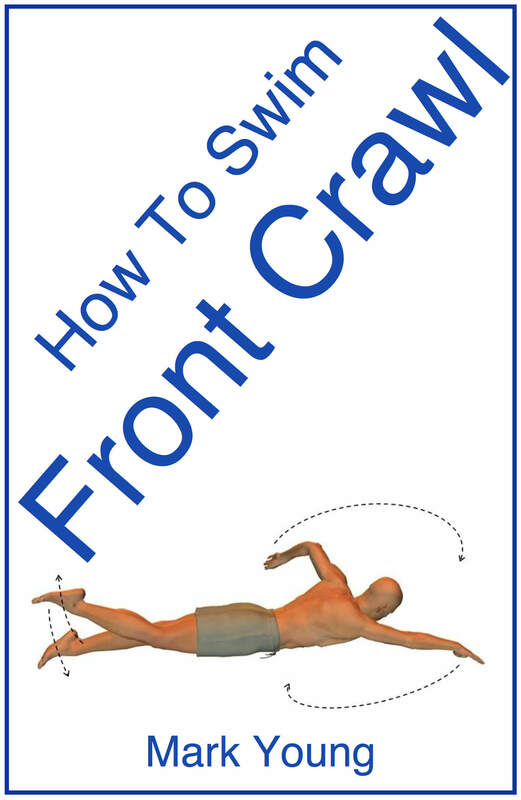 Download my best-selling ebook How To Swim Front Crawl for some simple exercises to help fine-tune your swimming stroke. Click the link below for more information. Click on one for more information.